The show is being directed by Hunter Bird, with a book by Alex Pototsky and pop-rock music by Zack Zadek, Broadway World reported. The story begins in 1982, when Apple was on the ascent but still developing the Lisa and its biggest breakthrough, the Macintosh. The musical will premiere March 15 at Feinstein's/54 Below, situated at 254 West 54th Street. Artistic interpretations of Jobs' life have struggled to find success. Two semi-fictionalized movies about the executive -- Jobs and Steve Jobs -- largely failed at the box office, despite having well-known actors. Another musical interpretation of his life, The (R)evolution of Steve Jobs, will debut as an opera in 2017. Jobs died of pancreatic cancer in October 2011. Shortly after many groups raced to capitalize on his fame, including studios, magazines, newspapers, and documentary filmmakers. I wonder if this one will bomb like the last two movies? I hate these people. Truly I do. I think the musical and opera have a good chance of succeeding because they can focus on the angst and not the person. I feel moved to attend these performances where the movies never seemed worth the time. 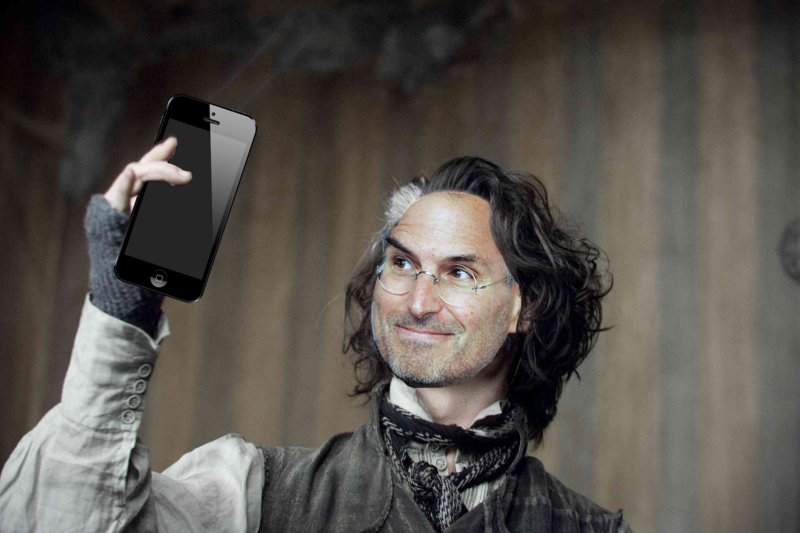 Attend the tale of Stevey Jobs! He stole all of his work from Woz! He yelled at his workers and claimed all their gems! The Syrian Refugee of Cupertino! Why? Who is making money or cares? Nothing against the guy or personal, but he is known for Apple not his charm or wit. I'm waiting for the Broadway musical about the founding of Google and Facebook, called "The Creepy Ones"
Aww crap. Just leave it alone. Please? Me too! I've heard the aria is titled "Do No Evil."